Posted in commitment, excuses, strength, strength training, tips, tips and tricks, tuesday	by Jess@Run Pink! So how’s your strength training relationships going? I’m sad to say I’ve abandoned mine lately. I didn’t mean to break up with it, life just got busy! Excuses, excuses. Right, I know. I think I may need this Tuesdays edition of Tips and Tricks more than anybody. Yesterday I had a friend over and we were discussing training plans, shoes, running yada yada (best friend ever when you can discuss mile split times and not get bored haha ah sweet runbonding time) and I was showing him the Smart Marathon training book I use(ed) for strength training and in flipping through it I saw where I had HIGHLIGHTED and UNDERLINED where it said, “what is required, however, is a commitment to your strength training.” And “do it at least 3-4 times a week.” I was like GAH! In marking these phrases I still do not remember to get it in. Guess I just closed the book and forgot. Or neglected it. He suggested, the brilliant friend that he is, that I cut the sentance out and tape it to my forehead. I had a better idea. I wrote down the phrases from my book on a Post-It note, highlighted and underlined it, and taped it to my bathroom mirror where I’m sure to see it every day. I’m considering taping more to the fridge, closet, pantry, tv, mirrors…everywhere I can see it; so I can’t hide from my commitment fears any longer! Got the boy into the action! 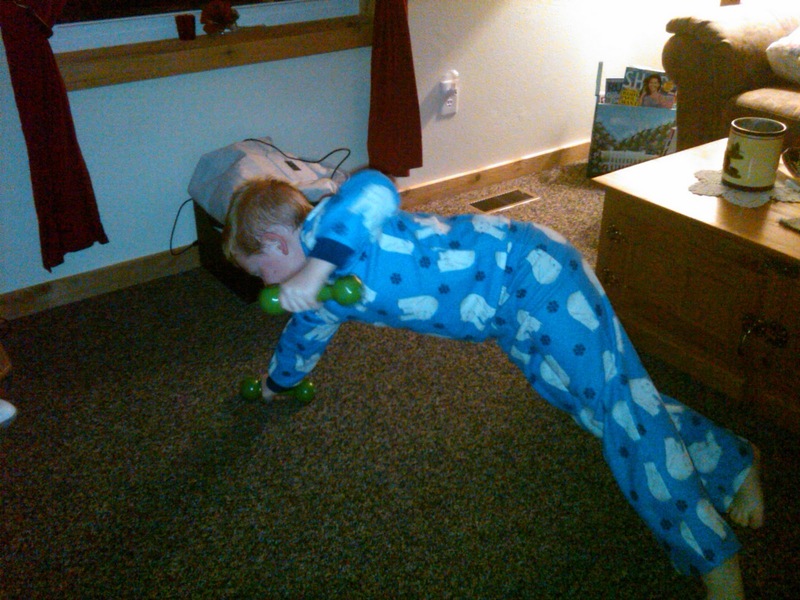 Posted in fun workouts with kids, strength training, the boy	by Jess@Run Pink! 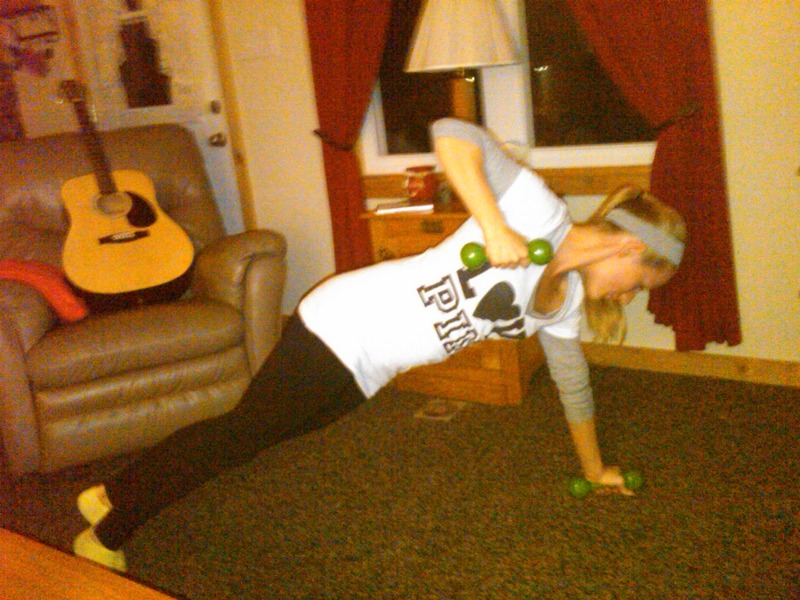 Okay so they were only 3 lb weights but we were trying a new move! I love this arm toner because it targets back muscles also to give you that tank top ready figure! We only have…oh about 7ish months away until summer!!! gah… seems so far away. But God gives us winter breaks so we can get some r&r in and hot chocolate!